What a transformation journey! Little did I know ten years ago when I volunteered to help at an orphanage that it would carry me to a deep understanding of God’s heart for the poor and to a major career change. I am the Executive Director of Word Made Flesh Brazil found in Rio De Janerio. This work has been heart-wrenching and exhilarating. I feel the pain and frustration of women who have lost more than half their children. I see the overwhelming challenge women face while their husbands are in jail. I am sometimes first on the scene when an impoverished child is falling behind at school, and nobody knows how to help. I also see that as I walk with these women and their families, I am witnessing radical changes every day. There are over 50 women and children in our Esther Project fighting for their lives; discovering and growing a relationship with Jesus, trying to get educated and provide a better life for themselves and their families. As a Brazilian I do not have the same resources as my North American friends. 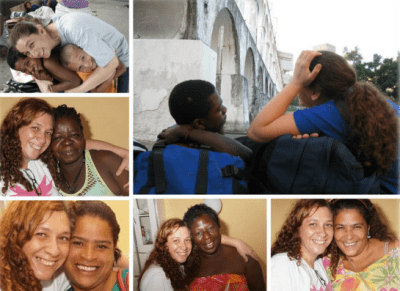 With no North American staff in Brazil the ministry has become increasingly difficult to fund. Word Made Flesh historic model has been that friends and family send money to their friends living among the vulnerable all around the world. We are so very thankful. Our new funding commitment is to support our local leaders, like myself, in order to create long term sustainability and provide jobs. We are beginning a revolutionary funding change. You can be part of this change. We’ve started a Freedom Fund, which will be divided up among the fields to create new businesses, jobs, and help sustain the already amazing work being done around the world. The Freedom Fund will keep the doors of Word Made Flesh Brazil open.